1. 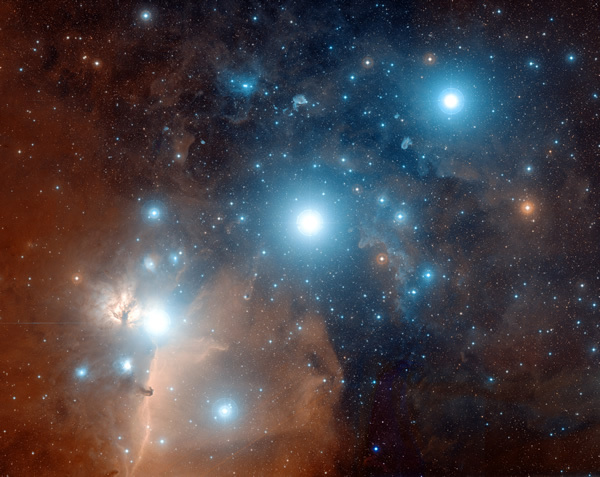 Solara calls Mintaka, brightest (and upper) star in the Belt of Orion, EL..
Mintaka is a doorway to other Universes. It is the home for higher dimensional entities, both physical and non-physical. 'EL' also refers to the 'inhabitants' of Mintaka. Most of the EL's ascended a very long time ago. Some of them have remained in the physical realms to merge with other species, thus forming hybrid EL's. Hybrid EL's are mainly found on Mintaka itself, on Arcturus, AN (Alnilam) and RA (Alnitak). There are some on Earth too. "Al Mintaka (...) is directly aligned with the star system of Arcturus. The EL essence gave birth to the ELder lineage which has long served upon Earth although no pure ELs remain here today. However there aremany hybrid ELs incarnate who keep the EL energy anchored at all times. Hybrid ELs are those who have merged the EL essence with other star lineages in order to step down and soften the energy emanation. In times past, pure ELs have served upon this planet as great masters. One signification of the ELs is their ability to perceive with one mind. Their symbol is the All-Seeing Eye, for indeed, they have the ability to draw their energies together into the collective unconscious or group mind in order to see as One. The ELs have long been the knowers of the Great Mysteries. They have tremendous intelligence as well as full access into the Akashic Chronicles. The ELs were extremely active in the time of Atlantis. They have often served on this Earth in positions of leadership and power. The Cyclops were early forerunners of the ELs. The color of the EL emanation is blue. It is aligned with the energy of Isis." (Solara, The Star Borne, p. 243-244. This information is channeled). 2. There also is group or mass consciousness from the Orion System, that is called the EL-consciousness. In fact, this EL consciousness, could very well be what Lyssa Royal describes as "the Orion Mass Consciousness - the non-physical aspect of Orion that operates from a sense of unity and integration." (PoL, see: Orion Light). See also: Elohim, EL*AN*RA, AN and RA. Then there are their allies that were given the same name. And last but not least, there are the Frauds: the self declared founders, of reptilian origin.